[dropcap size=big]S[/dropcap]pace, the final frontier. No, wait. That’s a different show. Let’s start over. How about this: For queen and country! Yeah, that’ll do. 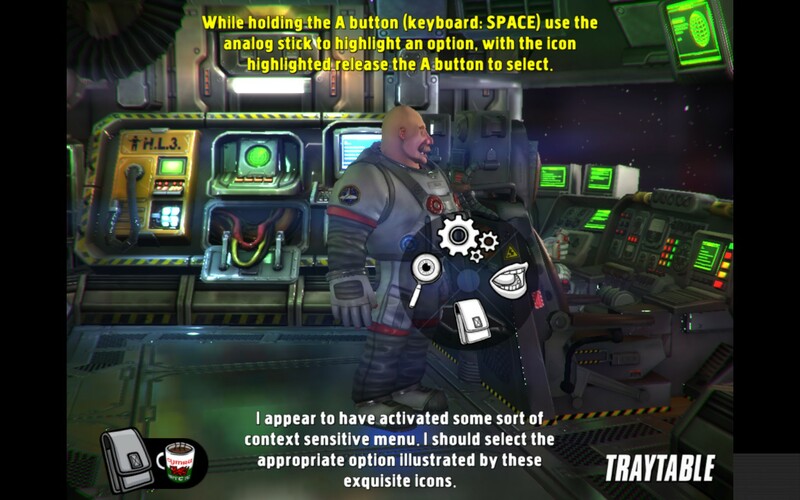 Her Majesty’s SPIFFING is a recently crowdfunded science fiction adventure game by BillyGoat Entertainment. During the campaign, they released a demo to potential backers to get them excited about the game. They just recently released an updated prototype for GDC that expands on what they gave others during the tail end of last year. A face lift, if you will. And I took the time to pop open the hood of the HMSS Imperialise and take a look at its sputtering engine. And what I found was certainly a big improvement on what I had played previously. Back when they rushed to release something playable for the campaign, there were many placeholders for graphics and the animations were, for lack of a better term, clunky. Everything runs a lot smoother now and Her Majesty’s SPIFFING is shaping up to be a worthy adventure game in the making. 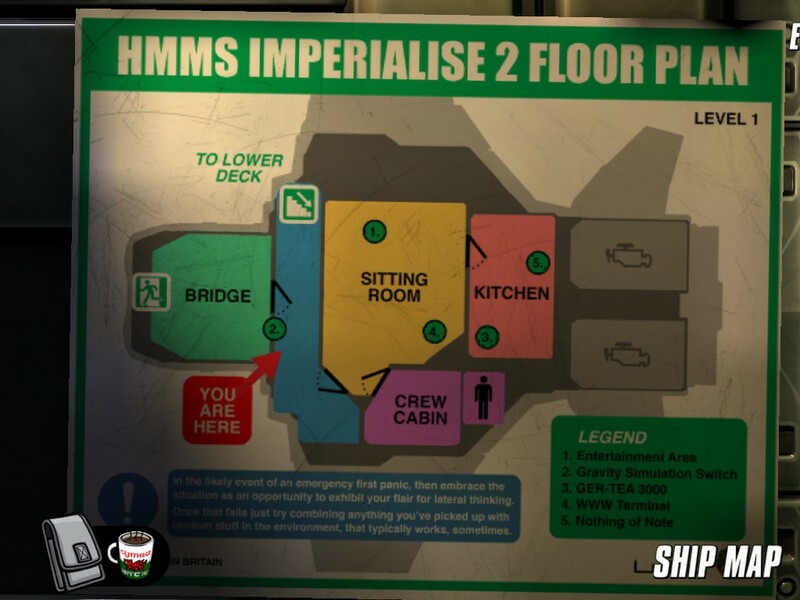 While obviously still a work in progress, and there are still some placeholders in some areas of the ship, what makes the game special is in its own brand of British humour. What sets Her Majesty’s SPIFFING apart from most other games is its continual use of fourth wall breaking narrative. 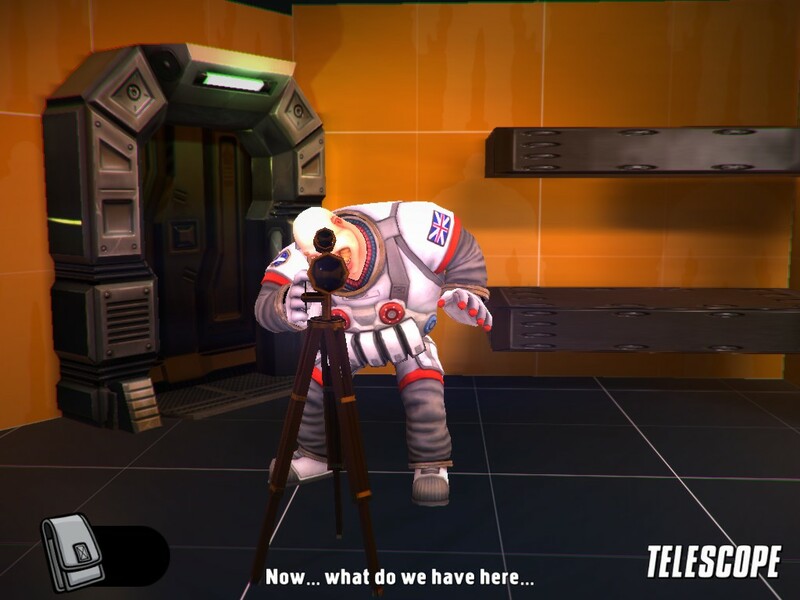 For instance, during the demo Captain Frank Lee English decides to take a look through a telescope in what amounts to the ship’s bunk area. He aims it right at the player and cringes as he stares straight down the lens. There are other tongue-in-cheek jokes sprinkled liberally just in this short cross-slice of the game. In just the first ten minutes or so that I played the new demo I had to stop counting the number of cringe-inducing puns, pranks, and jokes because they would never stop. They just kept coming at me like a flying boomerang fish. For those who haven’t followed the campaign, Her Majesty’s SPIFFING is a satirical adventure game set in the near future where space race fever has plagued several nations of Earth. Her majesty, the Queen of England, has decided to spread out and colonize the stars. But, they’re not the only ones competing for this valuable real estate. The Americans and French are feverishly stepping up their game and threatening the UK’s interest. The thing is, you’re not flying around in a gleaming space ship so often seen in modern sci-fi settings. Nope. You’re piloting a stupid looking kitbash of a heap…essentially a car with wings. Images of the Eagle 5 (the flying Winnebago in Spaceballs) immediately come to mind when comparing this outlandish mode of transportation with what we’d come to expect from shows like Star Trek and movies like Star Wars. Nothing is sacred when it comes to making fun of tried and true tropes. 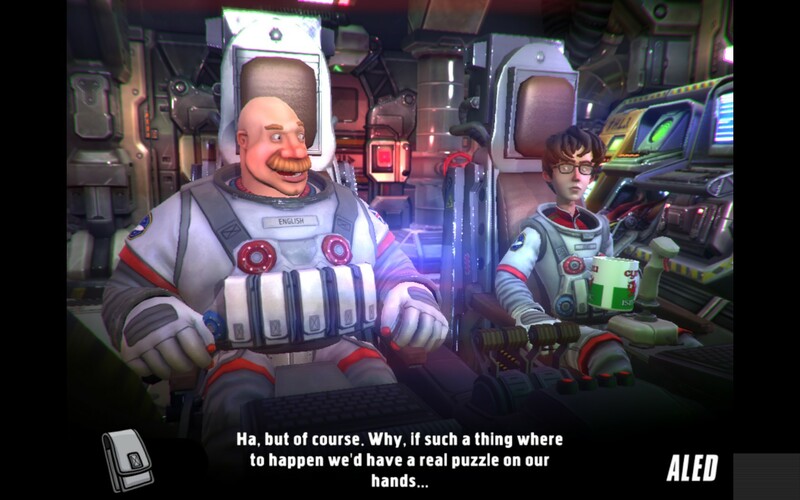 Anyone who enjoys a good comedy point-and-click adventure game should check Her Majesty’s SPIFFING out. Just the little bit released is a fun romp through the cosmos with the odd couple hijinks of English and his trusty companion Aled. Previous articleWhat Kickstarter Video Game Campaigns Launched April 5 – 11?